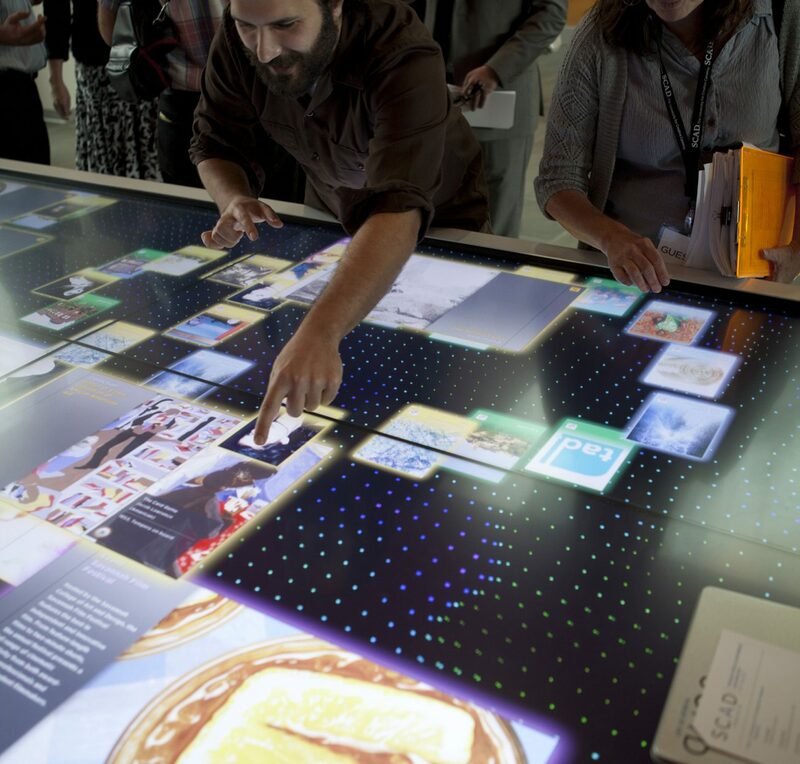 Frank LaRocca is a Nashville-based designer that specializes in user interface design for the web, mobile applications and interactive installations. 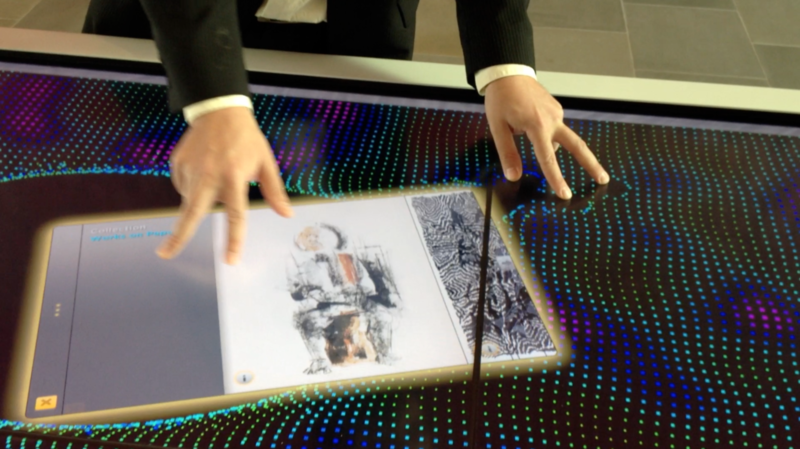 His work has included the design of interactive touch tables, real-time data visualizations for a bar with robotic bartenders, and the reimagining of an international bank’s ATM interfaces across the globe. 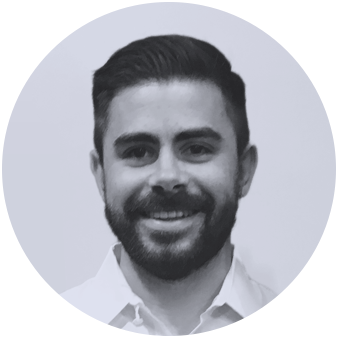 He has worked with such clients as PepsiCo, The Public Theater, Smithsonian, MIT, NYU, Sesame Street, UCLA School of Architecture and numerous technology startups. Frank’s work has received multiple awards, including AIGA’s 50/50 design award, and has been featured in Fast Company, CNN, and Gizmodo. Frank graduated with honors from the University of the Arts in Philadelphia with a BFA in Graphic Design and Multimedia. He then went on to work at a range of design studios, including the internationally renowned agency Pentagram for 4 years. He has taught design and programming at The New School, School of Visual Arts, and New York University. Currently, he works as an independent consultant. 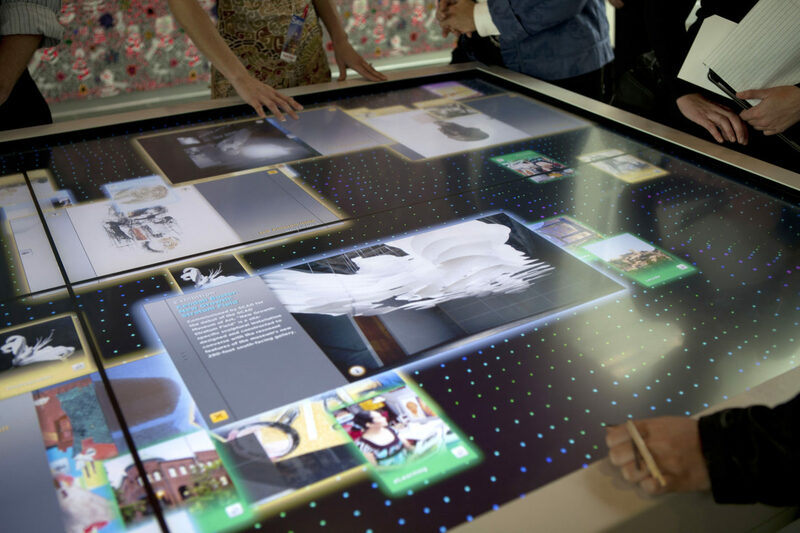 An interactive touch table that welcomes museum visitors, and provides information about art and exhibitions on view. 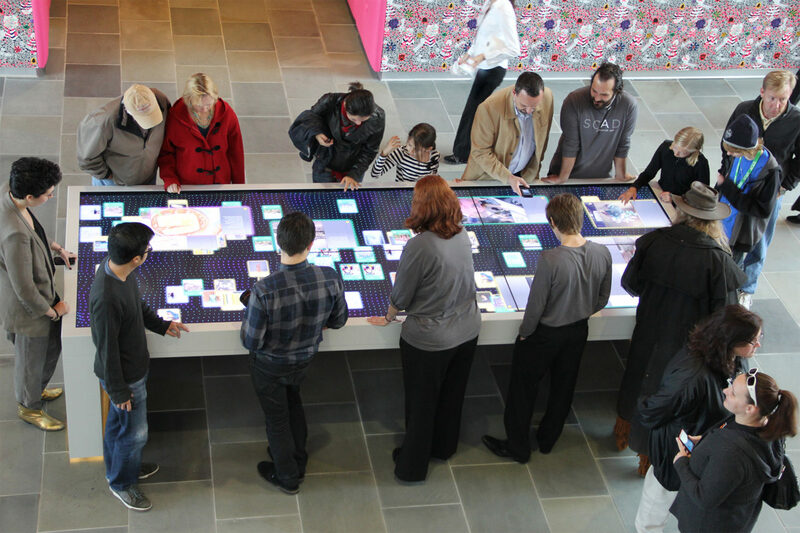 Six screens tiled together display a continuous interface that encourages collaboration among students and museum visitors.